COMING IN 2016. Release date not available. 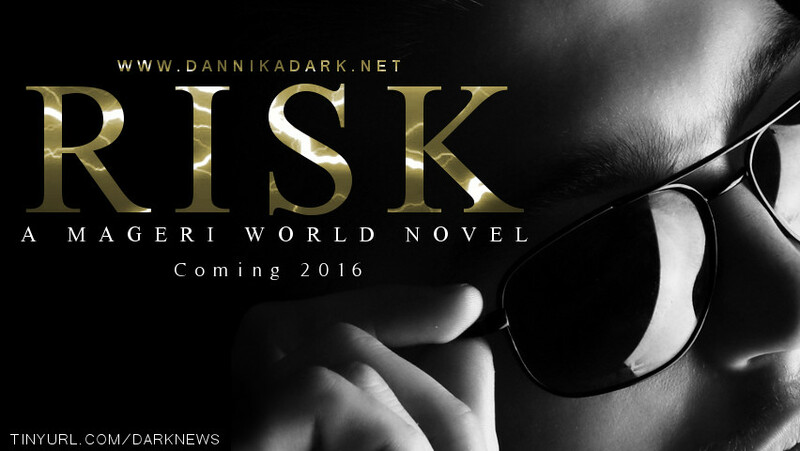 RISK is an extension of the Mageri series - a gift to my readers - and in the timeline of events, it will take place AFTER Shine (Final Mageri book). That means it is stuffed with spoilers, so if you have not read the Mageri series and have been on the fence about it, then you will need to do that prior to reading this book. It can be read as a stand-alone, but it will ruin the series experience and you'll miss out on the inside jokes and backstories. You can begin the series with STERLING, or pick up the first three books in the BOXED SET at a discount. The Mageri Series follows one protagonist, but there's lots of romance, action, magic, and a story arc that builds to a crescendo. You will fall in love with these characters, so much so that two years later, my Mageri fans are eager for this release. If you love my Shifters, you're going to fall head over heels for my Chitahs and Mage. “Come with me.” Her voice reverberated off the walls. “That’s what she said,” Simon quipped. Get ready for laughs, adventure, secrets, and romance. Wait, romance? And Simon? Well, you'll have to see how that turns out. RISK is a full-length novel equivalent to the length of STERLING. Disclaimer: This is not the actual cover, nor does it preview what the actual cover will look like. HA me too! So glad I'm not the only one.